Please welcome author, screenwriter, and producer Marla Hayes! 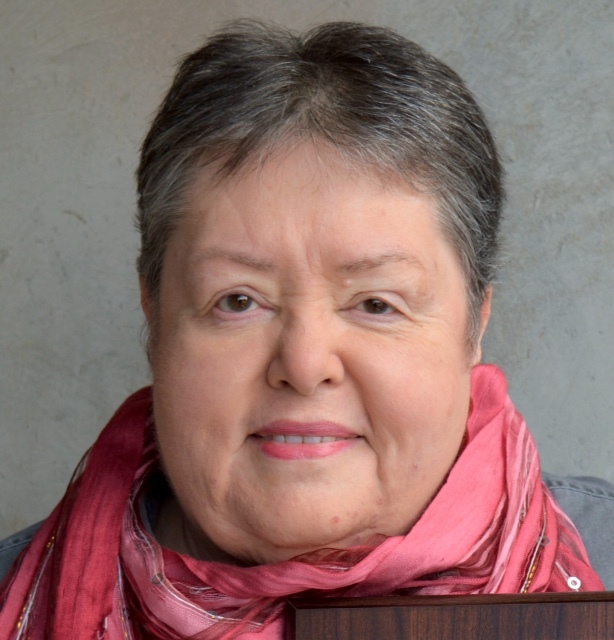 The writing career of Marla J. Hayes has spanned many types of creative output: a column in a magazine about collectible antique dolls, newspaper articles in both the US and Canada, scholastic publications for Canadian public schools, picture books, celebrity interviews, optioned/produced TV and film scripts (both long and short), and now a cozy mystery novella! We're thrilled (pun intended) to have Marla Hayes here today with us. Some authors want to try their hands at screenwriting. But you've come to it the other way round. How do you feel your film background makes it easier (or harder) as a book writer? Actually, writing a book has brought me full circle to when I first seriously stepped beyond writing teenaged angst poetry and personal journals. I had written a novel that got me an agent in Toronto. Following her editorial suggestions, it went through 15 drafts. I had some not-too-serious nibbles from publishers, but eventually the agent let me go to concentrate on clients who were earning her money. By then I had started on the path to writing sample episodes of TV shows I loved watching, like Magnum, P I and Quantum Leap. Quantum Leap had a series of paperbacks published which involved the leads from the TV show. Really fun reads. Too, there were thick volumes of stories called fanzines written by the show's followers. Eventually fans were hired to write some of the paperbacks. I tried my hand at that, too, unfortunately not successfully. With all the novels I read and the books I wrote I tended to skip over long descriptions and concentrate on dialogue to tell me the story - see where I'm going here? Dialogue is a major portion of scripts and screenwriting. In fact, I converted 2 of my screenplays into YA novels and was pleased to see Short on Time Books publish them. So, my early book writing lead me down the path to screenwriting, and in return screenwriting lead me down the same path. And here I am again, a new and improved writer, back to being a book writer. Your screenplay "Push" is billed as a comedy. Your first book was a fairytale romance. Your second book has been described as "First Daughter meets Home Alone". 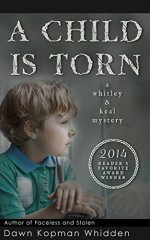 How did you decide to write a mystery this time? I was taking an intensive, online screenwriting course that had me writing a new drama script with strong mystery elements at the same time that the opportunity to write a mystery novel came along. 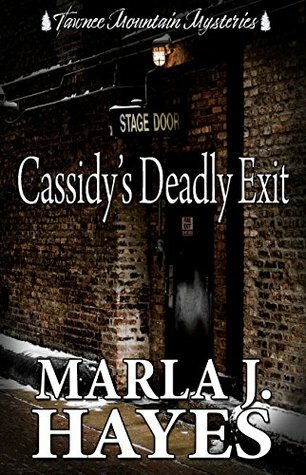 The timing was perfect to write CASSIDY'S DEADLY EXIT. It wasn't so much a decision as it was a wonderful chance to spread my wings to appeal to a broader audience in the same genre. How did you get involved with the Tawnee Mountain Mystery series? 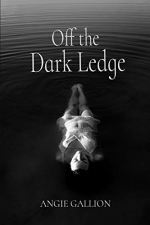 The owner of Short on Time Books, Karen Mueller Bryson, approached me, asking if I wanted to be one of a select group of seven writers for the series of novellas she called 'Tawnee Mountain Mysteries'. Beyond giving us a word count (20,000-40,000), and asking that our characters spend a week or weekend at a resort Karen had created in one of her series of books, and interacting with characters there who she had brought to life, we were given complete creative freedom. Karen and her talented husband worked to create the covers of my book and all the others in the Tawnee series. Did you enjoy the experience? What were some of the highlights for you? It's always enjoyable and a highlight to create new characters, and let my 'evil' side put them in danger. Writers should always write their characters into a corner and see how they get out of it. Too, seeing how the other authors in the series wrote their mysteries - that was enjoyable. Our styles really do vary, yet mesh nicely at the same time. 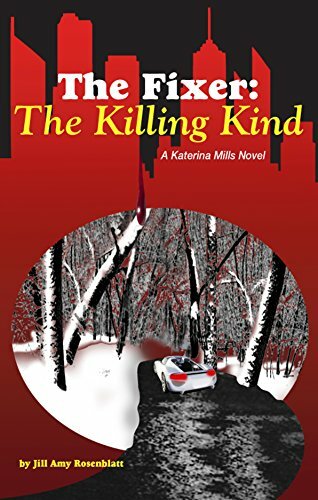 For highlights ... when people read the story and tell you they were surprised by the ending, that they'd picked the wrong person to be the killer - that's pure candy to a writer's ego. I go through the story so often, it's hard to know if I'm giving away too many clues. I'd say that reaction is definitely an enjoyable part of the process, and a highlight. The highlights are still ongoing as I continue to market the book, to attract new readers to experience Cassidy's expedition into the world of mystery. Next? I'm plotting a second cozy mystery for Cassidy to solve in what I hope becomes the Spotlight Theater Mysteries series. Too, I'm plotting a dramatic story, but I'm vacillating between it being a play or a script for a short film. How exciting! We wish you all the best. Thank you so much, marla hayes, for joining us here on Felony Fiction! Click here to learn more about the Tawnee Mountain Resort series. Questions or Comments for Marla Hayes? Post your questions or comments for Marla Hayes here!